As a business in the community, you benefit from helping others to succeed. One of the easiest ways to help make a difference is to give to United Way through a workplace campaign. It is impactful and it has direct benefits to your organization. United Way of Hernando County is proud of their corporate partnerships and community leaders who strive to make Hernando County the very best it can be through the Community Investment Campaign. 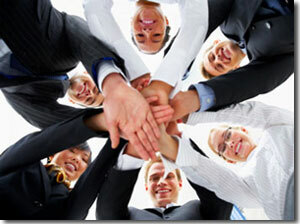 It is no surprise, that when a group of people band together around a common goal, great things happen. Through payroll deduction and community programming, these Community Investors and their employees are affecting the lives of thousands each day! Did we mention it's easy? Click HERE to receive more information on how to Become a Community Investor and conduct a United Way Workplace Campaign within your business. As you organize and ask your co-workers to be a part of the change in our community by supporting the Community Investment Fund, check out United Way's CAMPAIGN COORDINATOR TOOLKIT for a few key points you can share with them.